Lot Bar & Restaurant01277 222545work Restaurant - PubLot Bar & Restaurant is a family run business. All our food is made on the premises from scratch, everything we serve has been made by us and cooked by us, and not simply opened from a packet and warmed up. We believe in using where possible, local produce from small businesses so that we can keep small independent companies like ourselves in business. In the evening we offer a tapas menu that has been designed to share with friends in Lot Bar & Restaurant over a few drinks. If you wish, you can book tables anytime of the day for breakfast, lunch, or an area in the evening. 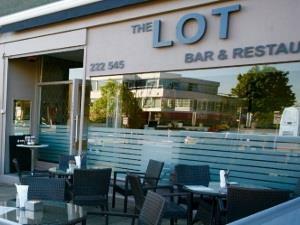 Lot Bar & Restaurant is a family run business. All our food is made on the premises from scratch, everything we serve has been made by us and cooked by us, and not simply opened from a packet and warmed up. We believe in using where possible, local produce from small businesses so that we can keep small independent companies like ourselves in business. In the evening we offer a tapas menu that has been designed to share with friends in Lot Bar & Restaurant over a few drinks. If you wish, you can book tables anytime of the day for breakfast, lunch, or an area in the evening.